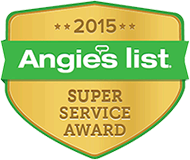 Is your AC or heating system in need of service and maintenance? Or are you considering replacing your old AC with a new energy efficient system? Call us today for a hassle-free, no-obligation quote on repairs, maintenance or new system installation for air conditioning and heating systems anywhere in our service area. We provide same day service to keep you comfortable. New system design & installation using top rated Trane equipment. Financing is available.